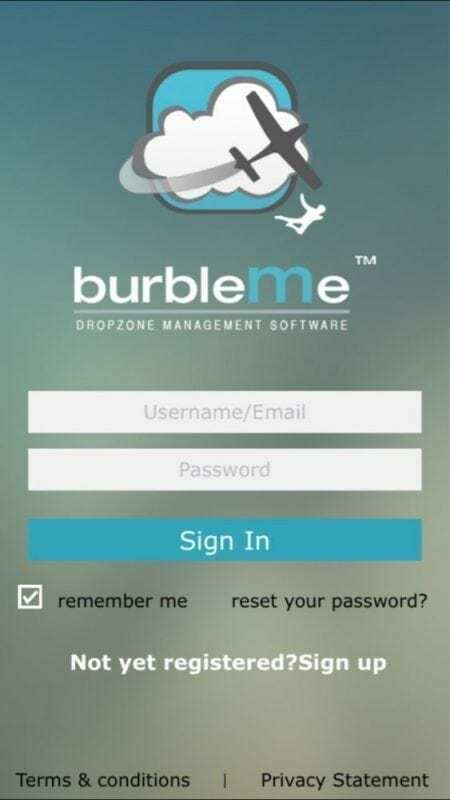 We work with the Burble Dropzone Management Software. You can still let manifest put you in a load, like in the old days. 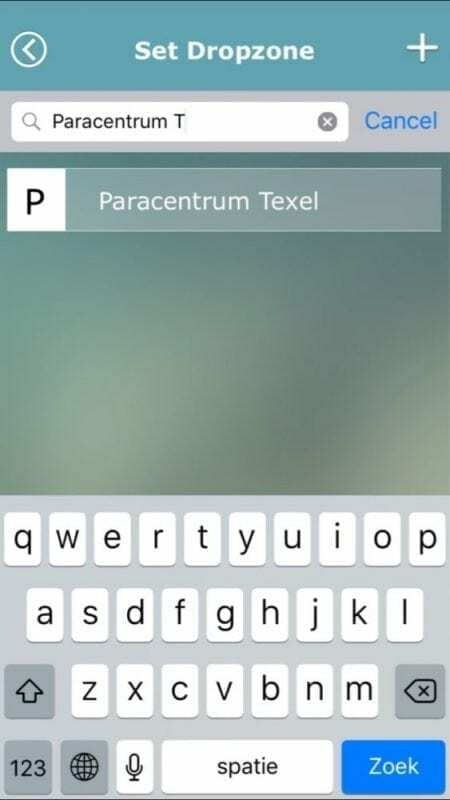 However, Burble provides you the possibility to take more control, edit and have an overview through the BurbleMe app. Examples are manifesting yourself in a load, updating your profile, see your account balance and history or send your current location when you land out. 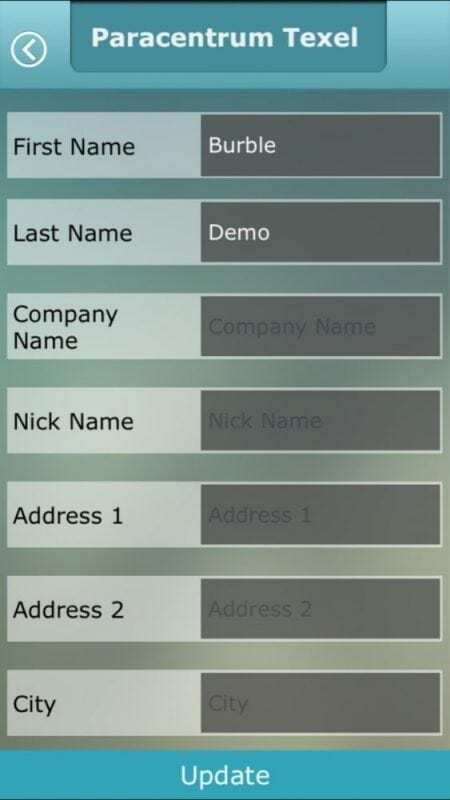 Below you’ll find a short explanation of the main functions and methods. 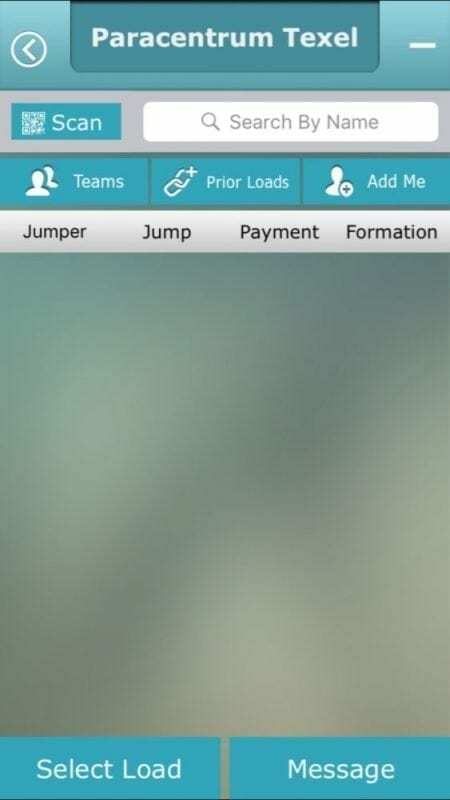 When you jump with us, you need a jump account with all administrative information. 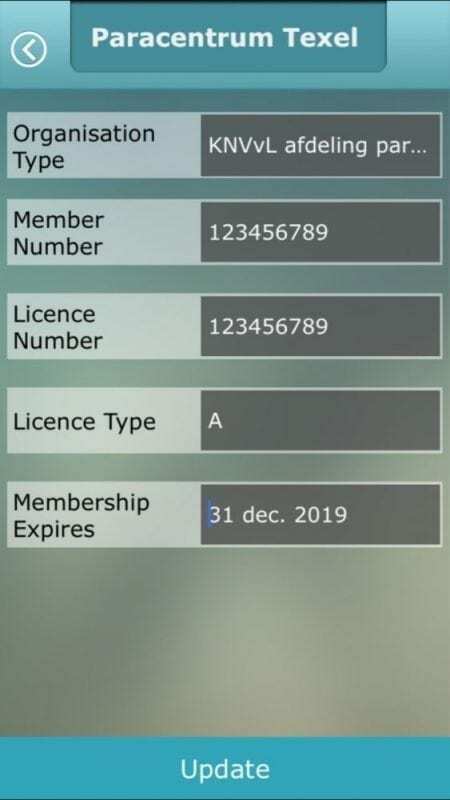 You can create this account and fill in your personal details. It saves a lot of time when you have done this prior to arriving at our dropzone. So, it is highly recommended. 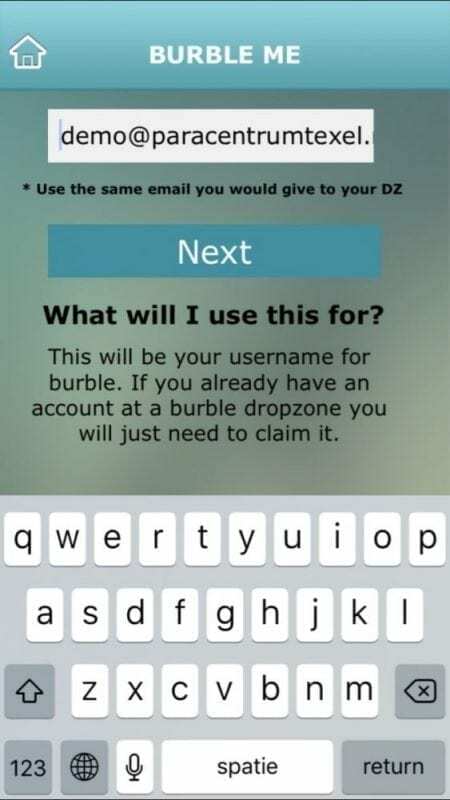 You can create a Burble account through the Burble website or, even better, through the BurbleMe app (tip: the app is very useful for manifesting yourself or to see how many jumps you still have on your account). Download BurbleMe iOS in the Appstore or for Android in the Playstore. We also need a signed waiver from you.You can do this beforehand online (click here) or you can do this in our shop on one of our iPads. 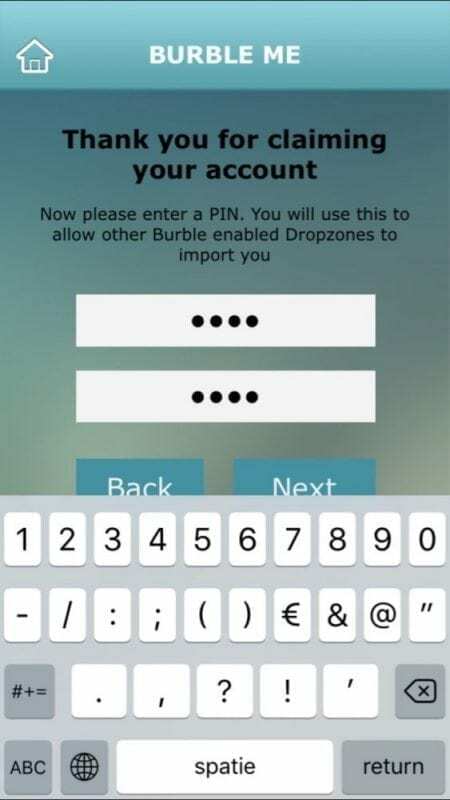 The waiver will be linked to your Burble account. 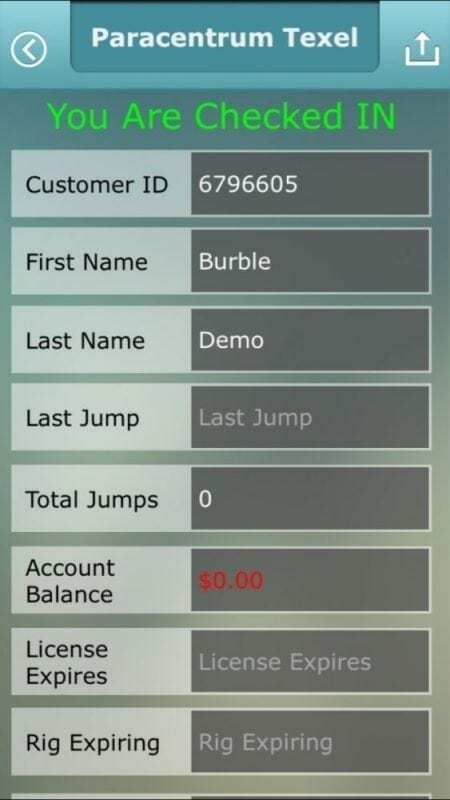 Now we can add your jump tickets to your account. You can pay in cash or with card. We accept VISA and MasterCard credit cards. * Applicable when you jump with your own gear instead of rental gear. 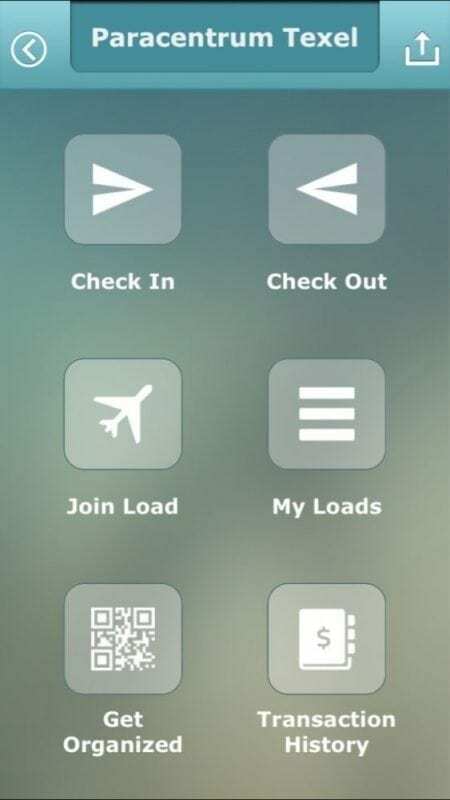 When everything is in order, you can check-in using the BurbleMe app and manifest yourself in a load. 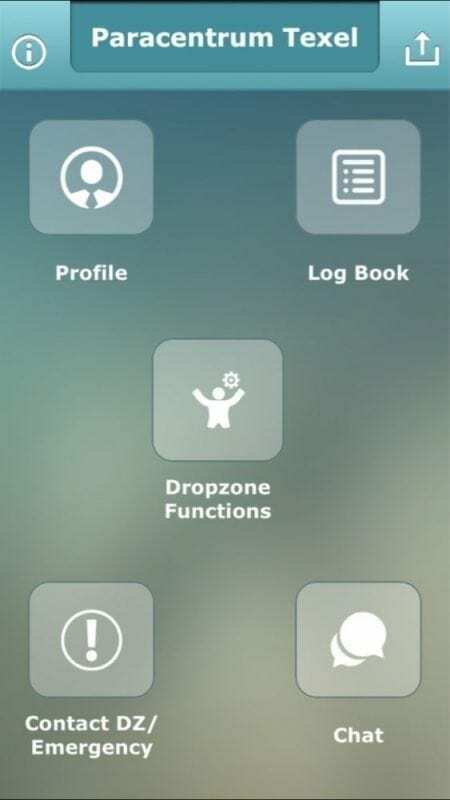 Not a fan of self-service apps or is your phone out of juice? No worries; everything can still be done the old-fashioned way. We still love putting you in a load manually and/or provide you with information about your account balance. 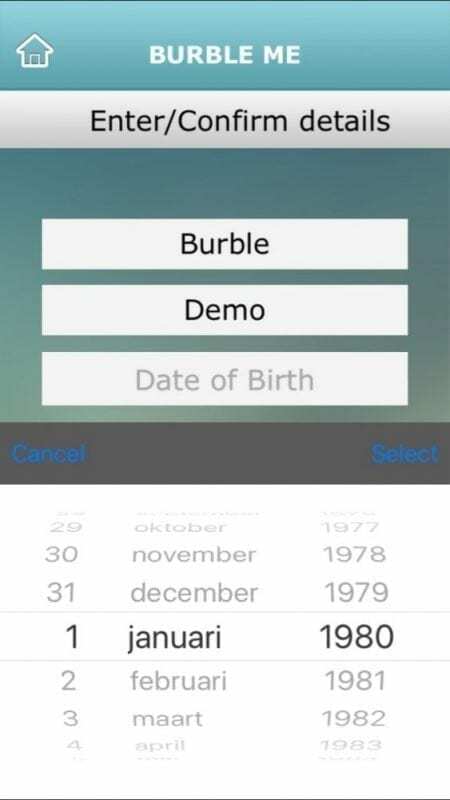 Download BurbleMe for iOS in the Appstore or for Android in the Playstore. 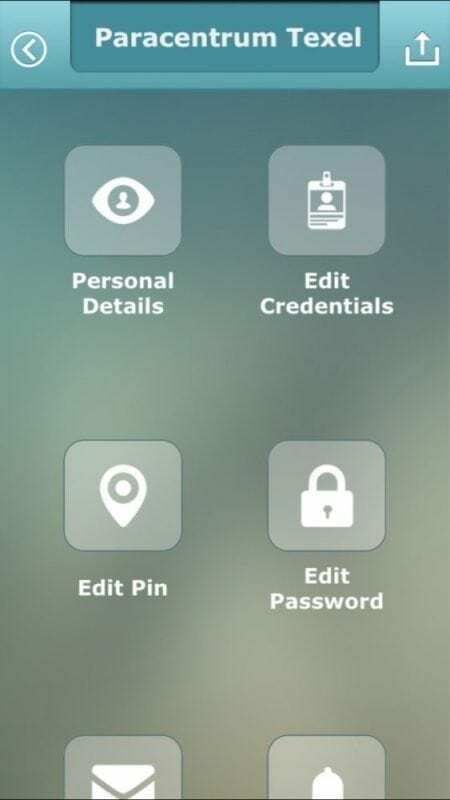 Don’t forget your password and PIN..
Before you can manifest yourself you have to check-in for the day. 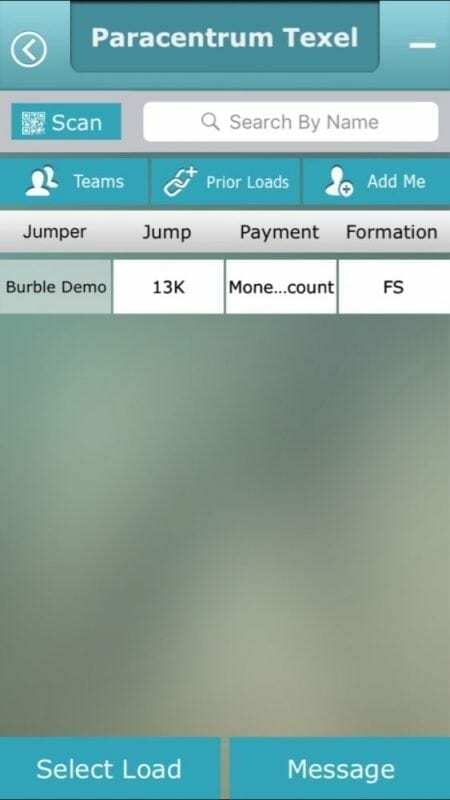 This video showcases some of Burble’s main functions, from check-in to manifesting to placing yourself and your team in a load. 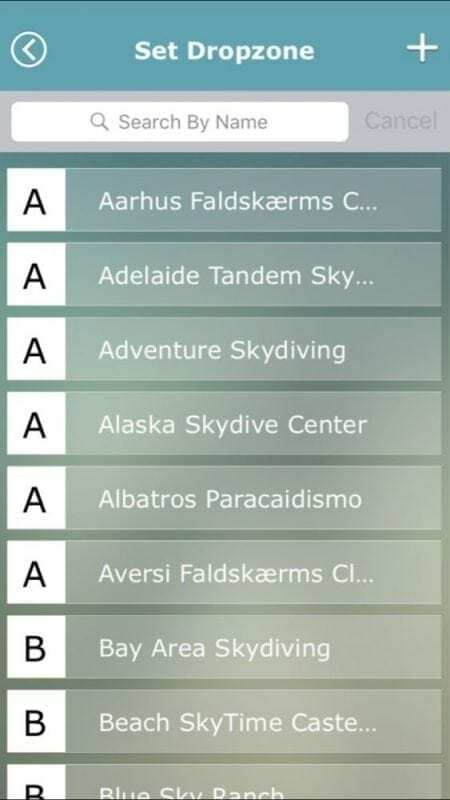 Where skydiving is involved it’s quite normal to have a lot of questions. 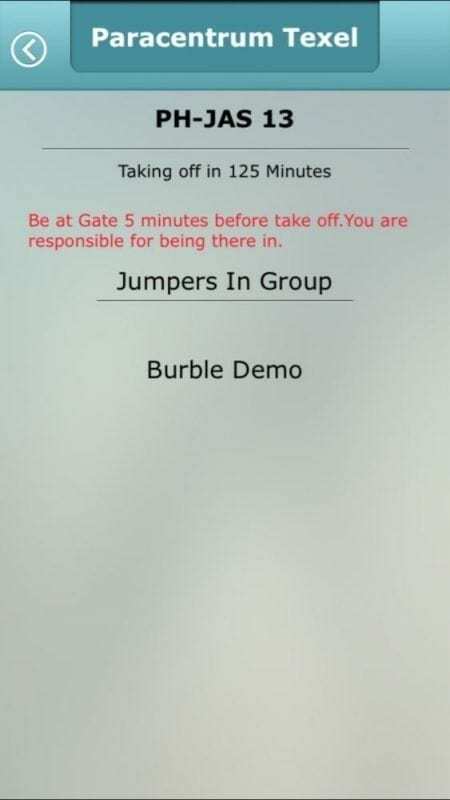 Even for experienced / licensed jumpers. Please take a look at our collection of frequently asked questions before sending an email or reaching out by telephone. 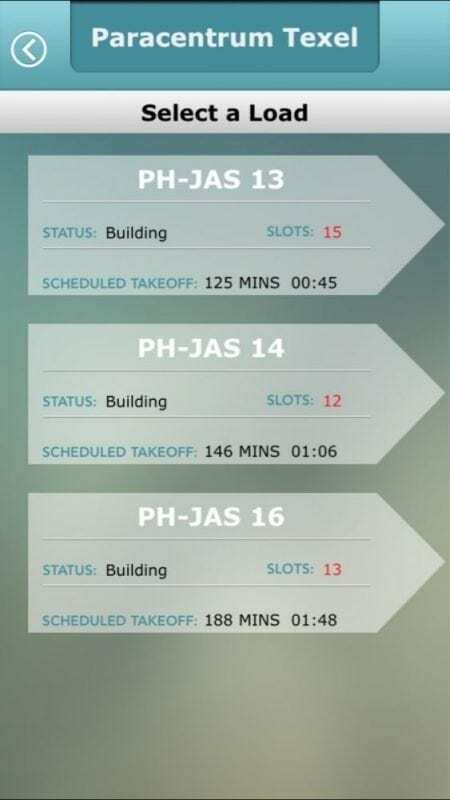 You’ll most likely find your answer here or on the dedicated FAQ page where we’ve collected all (a lot) of questions with their respective answers.